Double click on the photo that you would like to adjust the exposure on. 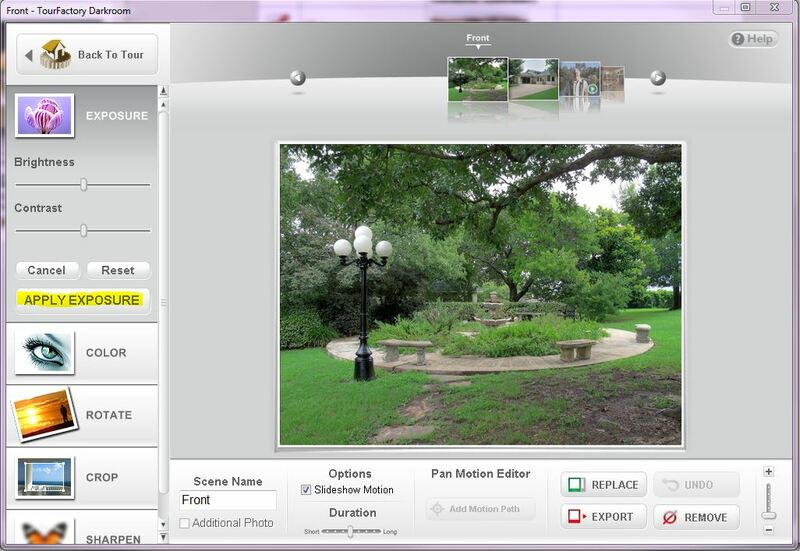 On the left-hand side, click on the button labeled “Exposure”. 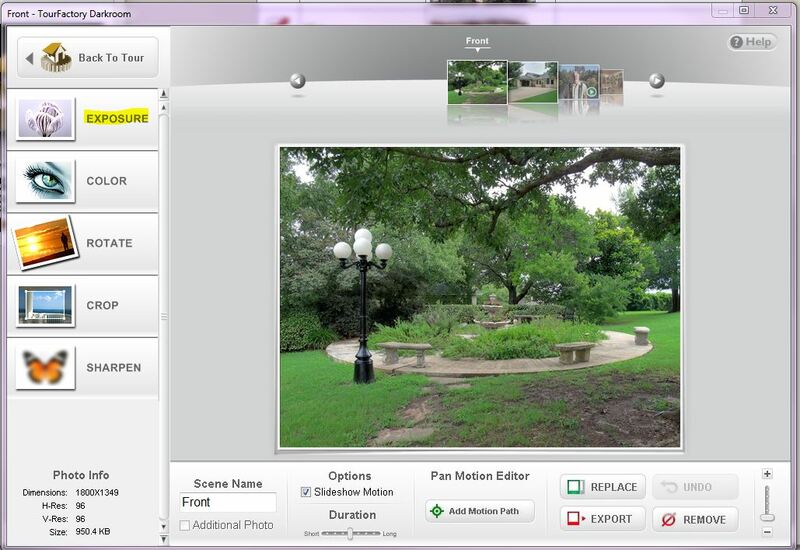 Adjust the sliders on the “brightness” and “contrast” until you have gotten your desired exposure. Once you have your desired exposure, click the “Apply Exposure” button..
Once you have adjusted the exposure of your photo, click the “Back To Tour” button in the top left-hand corner. Once you have made all of your changes in the Darkroom, click the “Save/Close” button in the bottom right-hand corner.